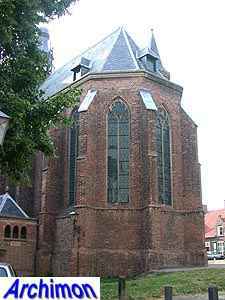 Although it has been protestant for more than 400 years, the church of Rhenen is still known by its catholic name of St. Cunera. 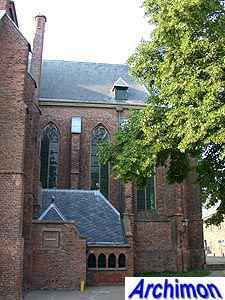 This St. Cunera lived in Rhenen for part of her life, until she was murdered in the year 340.On the hill she was buried on miracles were believed to have happened, and in the 7th century she was beatified. 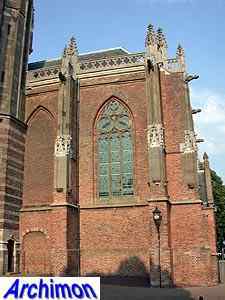 Her relics were buried in the local church but it seems they weren't worshipped on a big scale. 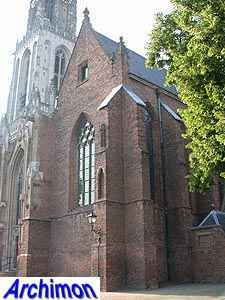 After the church was destroyed by fire in 1400 pilgrimages to the relics of St. Cunera were organized to help finance the construction of a new church, which would be named after her. 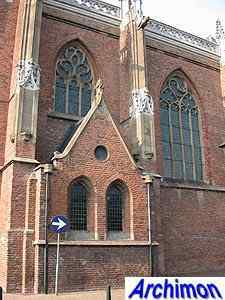 The choir and the transept are the oldest parts of the church and probably date from the first half of the 15th century. 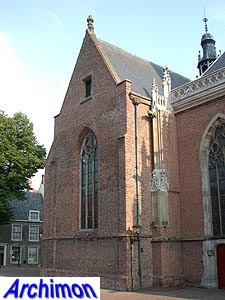 The nave of the old church was enlarged in the second half of the 15th century. 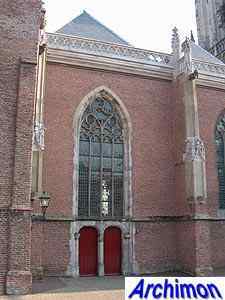 The nave consist of three aisles of equal height, making the church a hall-church. 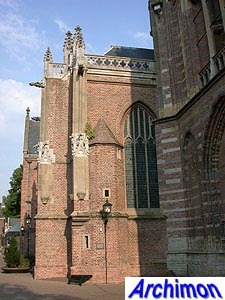 The northern side-aisle is half the width of the one on the south side. 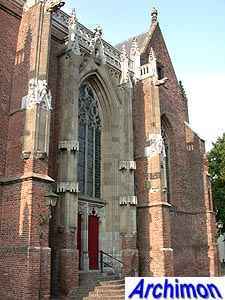 The nave is executed in richly decorated Lower Rhine Gothic style, similar to big churches in nearby Gelderland. 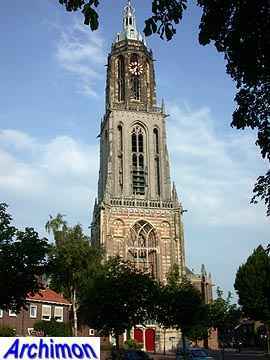 The tower was built between 1492 and 1531. 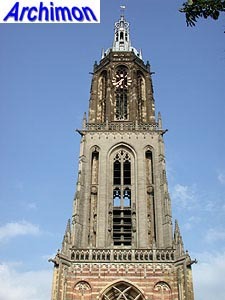 The tower of the cathedral of Utrecht was taken as an example. It consists of three segments. 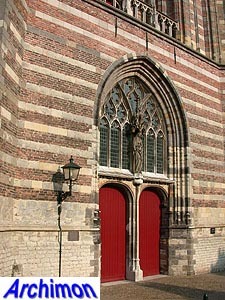 The lower one is made of brick and natural stone in alternating layers. 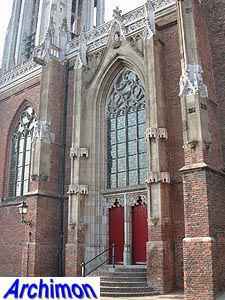 The second segment is entirely of natural stone, as is the octagonal upper segment. 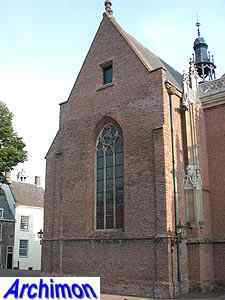 Apart from the alteration, when protestants confiscated the church, very little happened to the church for four centuries. 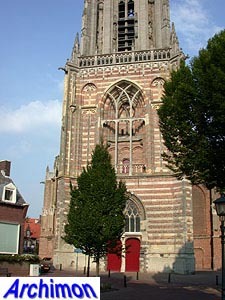 In 1897 the tower was damaged by fire. The following restoration by P.J.H. 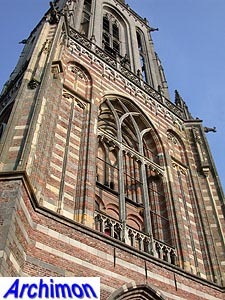 Cuypers resulted in a taller and more decorated tower. 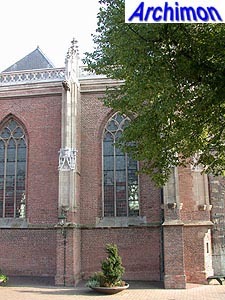 In 1934 a fire destroyed the roof of the nave. 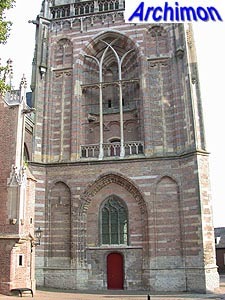 Architect Kromhout added a concrete roof on top of the vaults, which turned out to be too heavy. One of the pillars collapsed in 1938 and a major restoration was needed. All pillars were replaced. Also the plaster on the walls was removed, under which probably medieval fresco's had been preserved. 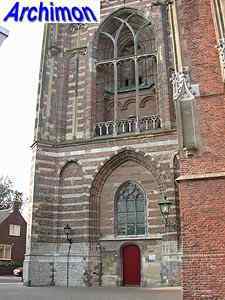 On the outside the stair-turret next to the choir was heightened, as were the walls of nave, transept and choir. The balustrades on top of these were added as well. 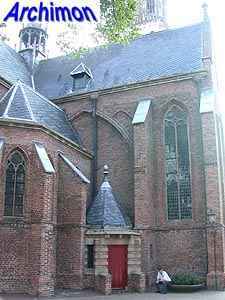 Although Rhenen was in the firing line in May 1940, when German troops attacked The Netherlands, the church was only slightly damaged. Early 1945 the restoration was completed, but in April of that year British bombers attacked the tower, causing enormous damage to both the tower and the nave. After the war B.T. 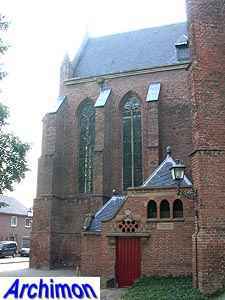 Boeyinga restored the church. 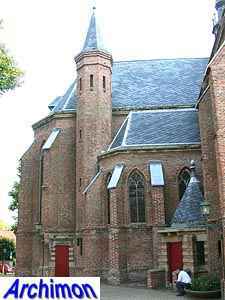 In 1977 work was finally completed.